Limited access to safe, verifiable loans and capital is a significant barrier for people – especially women – trying to lift their families out of poverty. Moneylenders charge extremely high interest rates that trap people into unmanageable debts. Working with partners in Guatemala, Ghana, and Malawi, PWS&D is empowering vulnerable people to access safe credit and savings, manage finances through group savings or microfinance opportunities, and allow opportunities for small business development. Through PWS&D economic empowerment programs, women and men access literacy, numeracy, leadership, computer, vocational and business management training to develop the skill sets they need to be successful entrepreneurs. 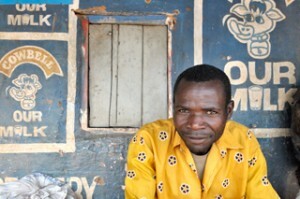 Self-help groups are formed, where members save together to access loans and begin businesses, such as producing crafts for local sale, starting vegetable gardens to sell produce at the market, raising livestock, selling clothing, metalworking, bricklaying, carpentry, tailoring, hairdressing, jewellery making and other small ventures. Participants are dedicated to their businesses and are proud of their successes. The profit they generate has a significant impact on improving their quality of life – allowing them to purchase nutritious food, pay school fees for their children and access medical care. 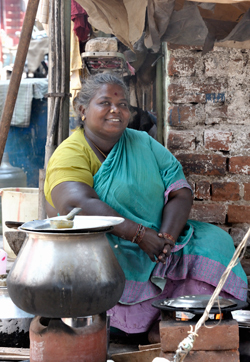 Living in India’s Klaskulam slum, Packiyalakshmi struggled to care for her four young children. She often had little food to feed them and was unable to send them to school. Although she tried to create new opportunities for her family by taking out a small loan, she ended up falling even further into debt due to the interest rates charged by moneylenders. It was not until Packiyalakshmi discovered a PWS&D-supported program helping hundreds of women living in the slums of Madurai, India, that she saw a better future. Through the program Packiyalakshmi joined a savings group and was able to access a modest loan, which she used to begin her business selling tiffin, a snack made with rice. With the group’s encouragement and support, Packiyalakshmi repaid her loan, acquired a small shop for her business and is now earning a steady income. The extra money is making a big difference – her children are no longer going to bed hungry and her daughter is continuing her education. Seventy percent of the people in the world living in extreme poverty are women and girls. Many do not have access to education or safe, fair financial opportunities. They face persistent food insecurity, inequality and discrimination. Too often these circumstances prevent women and girls from reaching their full potential. PWS&D is investing in girls and women through innovative programs that empower them to break cycles of poverty and contribute to their development. Why is support for women so essential? An extra year of school for girls increases their lifetime income potential by 15%. A child is more likely to live past the age of five, if their mother has at least a primary level education. This is why PWS&D is supporting girls’ education in Afghanistan. Women, ultimately, invest more of their income in their families than men do. Through micro-finance and small business programs, we are ensuring women have access to fair credit, and develop the skills they need to transform modest loans and savings into economic opportunities and brighter futures. With the profits they generate, women purchase nutritious foods, invest in their homes, pay school fees for their children and access medical care. Barama Ahmad is a single mother of seven, living in Afghanistan. Her husband died three years ago in a mine explosion. To earn money for her family, Barama collected wheat heads and sometimes washed cloths and utensils for neighbours, but it was never enough. Faced with no way to support her family, Barama enrolled in a PWS&D-supported poultry-training course, through which she received chickens and supplies. With her skilful management she has been able to meet the nutritional needs of her family and increase her income by selling her eggs and chickens. She is now able to afford her children’s clothes, shoes and other expenses. Investing in women tackles poverty and creates brighter, safer futures. When a woman is educated, healthy and informed, she changes the world of everyone around her: her children, her husband, her community, and even her country! Your faithful and generous support of PWS&D is helping women, men and youth around the world have the opportunity to break free from poverty. They are gaining skills, income and confidence as they grow their savings and businesses and help provide for their families. Make a donation today! An information sheet is available to learn more about PWS&D’s economic empowerment programs.